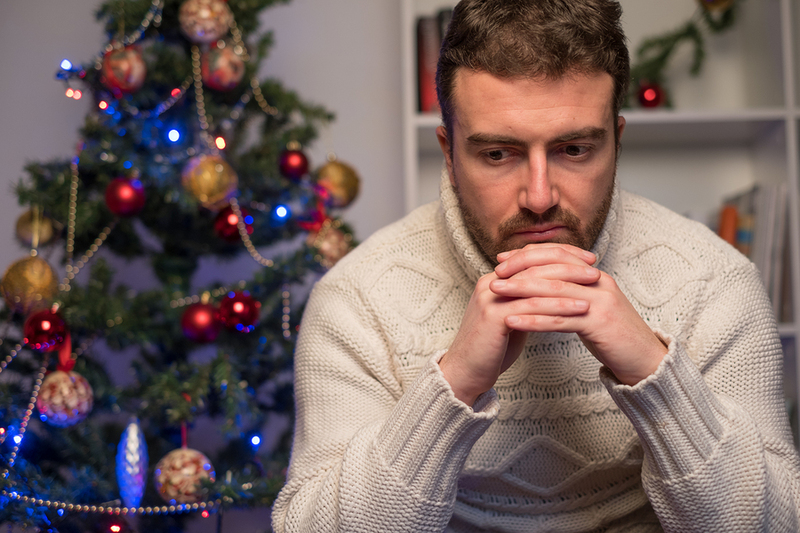 Recovering from an addiction comes with many complications and struggles throughout the year but one of the toughest times for most sober people is the holidays. The few months between November and January can be some of the most difficult to get through because of the many parties, celebrations and gatherings that tend to involve alcohol. People who have quit drinking may feel especially tempted during this period of time because they have certain associations with the holidays and having drinks. Another reason the holidays can cause people to be more vulnerable to relapse is that it can also be a stressful time of year. Worrying about shopping for gifts and spending time with family can be difficult especially if you have any dysfunctional family members who create more stress. Although the holidays are meant to produce feelings of togetherness, the reality is that many people actually feel more lonely and depressed. Because of these factors, it is essential to prepare for the holidays in advance and have a plan in place to prevent holiday relapse. Even though you might be optimistic about how your recovery is going you may never know for sure how you will react during the holidays. You need to think about what the holidays will bring and create your own relapse prevention plan so that you are fully prepared for any difficult situations. When you have a plan in place before the holidays you will feel more confident and prepared for any issue that might come up. Instead of feeling nervous and scared about how you will react at a holiday party or gathering, you will know what to do in any situation. Relapse will be much less of a possibility when you have a plan ready in advance. The first step in creating a relapse prevention plan is thinking about how you will react and handle it when someone offers you a drink or asks why you don’t drink. It is inevitable that this situation will come up so you can rehearse and think about some answers beforehand that you will feel comfortable with. There are different ways that people choose to handle being offered a drink but you can simply say “no thank you, I don’t drink”. This may be enough to shut down any other offers the rest of the night if people know that it is a deliberate choice. Be firm and avoid opening any doors that might make people want to convince you to have a beer with them later on. If someone asks you why you are choosing not to drink, you don’t necessarily have to tell them you are in recovery if you don’t feel comfortable enough to share. You can prepare some answers that you think will make you feel okay with the conversation and will prevent any further prying. You can say for example that you quit for health reasons which is reasonable and in most cases is probably the truth on some level. Most people in recovery know how important it is to have a support system in place when you are struggling with temptation. This is especially the case during the holidays when many people feel isolated and under more stress than usual. It might be a good time to talk to your sober friends more often and ask for extra support. If you are going to a party that you are particularly nervous about you always have the option of bringing a sober buddy with you. Being the only sober person at a party can feel very alienating and can drive you to want a drink again. Take a friend from your AA group so that you can support each other and get through the night safely. It is always a good idea not to spend too much time alone when you are in recovery and particularly during the holidays. As part of your prevention plan, try to organize some activities and outings with friends that don’t involve alcohol. Activities with friends from your AA group will not only help you but also everyone else in your meetings that is having a hard time. As part of your prevention plan make sure that you have the option to leave when you are in any situation that may endanger your sobriety. If you are at a party that feels overwhelming, then make sure you have your own car or arrange a ride home so that you don’t have to stay. You don’t want to be in any situation that will trigger a relapse. As important as it is to challenge yourself, your highest priority should be staying sober. Practice self-care and focus on your goals so that you can stay on track throughout the holidays.